Liverpool visit the Estadio do Dragao for the second leg of their Champions League quarter-final fixture against FC Porto on Wednesday night. Who will win in Portugal? This post contains our FC Porto vs Liverpool betting preview with betting tips, predictions, starting XIs, team news, enhanced odds, exclusive offers and no deposit free bets on the Champions League! Get 30/1 Liverpool to win vs FC Porto at BetVictor. Max bet £1! New Customers only. Place a maximum £1 bet on Liverpool to win Match Betting - 90 mins. If it wins, get the enhanced odds paid out as free bets; 7 day expiry. Cashed out bets excluded. 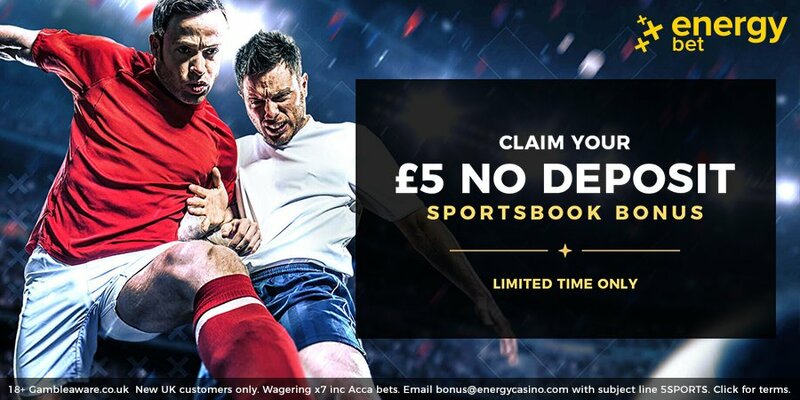 Offer valid from 18:00GMT on Sunday 14th April 2019 until 20:00GMT on Wednesday 17th April 2019. Credit or Debit card only, minimum £5 deposit. Geographical Restrictions. T&Cs Apply. Goals from Naby Keita and Roberto Firmino handed Porto a 2-0 defeat at Anfield. They will now need to score at least three unreplied goals if they desire to overturn the two-goal deficit from the reverse fixture. Their loss in Liverpool was not really a surprise, given they have never won a European tie in England, with that run now stretching to 19 games. The Dragoes did follow that defeat at Anfield with an assured 3-0 win over Portimonense which kept them only below Benfica on goal difference in Portugal’s top flight.They have only lost one of their last eight competitive games and have kept clean sheets in five of their last seven home games. Pepe and Hector Herrera return from suspension for the hosts and are expected to feature from the off. As a result, Vincent Aboubakar is the only absentee. The versatile Eder Militao - off to Real Madrid in the summer - will shuffle across to right-back with Felipe and Alex Telles completing the four man backline. Tiquinho Soares and Moussa Marega are likely to lead the line with Otavio and Jesus Corona out wide. Danilo Pereira will partner Herrera in the middle of the park. Liverpool hold a commanding 2-0 advantage ahead of Wednesday's return leg in Portugal after they produced a dominant display in the first-leg fixture at Anfield. The Reds backed up that triumph with another 2-0 win over Chelsea to remain on top of the Premier League table. That result extended their winning run to seven matches. Furthermore, last week's victory for the Reds at Anfield leaves them with a record of four wins and three draws from their previous seven meetings with the Portuguese side. The Reds won 5-0 at the Estadio do Dragao in the first knockout round last term. Jurgen Klopp may be without skipper Jordan Henderson, as he sustained an ankle injury in the second half of the Chelsea match. The visitors will also be without Dejan Lovren due to illness, but fellow defender Joe Gomez did travel and could be an option off the bench after making his comeback from a leg fracture. The front trio - Sadio Manè, Mo Salah and Roberto Firmino - remain unchanged, with Xherdan Shaqiri and Daniel Sturridge backup options. Adam Lallana has returned to the squad, but Alex Oxlade-Chamberlain remains absent. Don't settle for the first odds you find. Taking the best prices on the market is very important! The following are the highest odds on the FC Porto vs Liverpool match winner market. We only bring you odds from tried and trusted bookmakers, so you receive not only the very highest odds, but also the ultimate experience too. The Champions League is arguably one of the most unpredictable football competitions, expecially when two European giants collide. Our football tipsters share the most accurate predictions on FC Porto vs Liverpool this Wednesday, giving you the best chance of bashing the bookies. Back our predictions as singles or use a Bet365 Bet Builder tool (such as Betfair's Same Game Multi or BetVictor's PriceItUp Builder) to include them in a unique bet. Head to our Champions League page for more winning predictions, we won't let you down!! If you’re just getting started betting on football, you might be confused by the multitudes of wagering options available. This is the reason why we are providing you with a brand new betting guide section! There, we’ll cover all the basics and even give you a few more advanced betting strategies so you will have an advantage on game day. We have also collected all the best betting promotions, including no deposit free bet and exclusive promo codes. "FC Porto v Liverpool Betting Tips: Match Result, Correct Score & More (Champions League - 2nd Leg - 17.4.2019)"